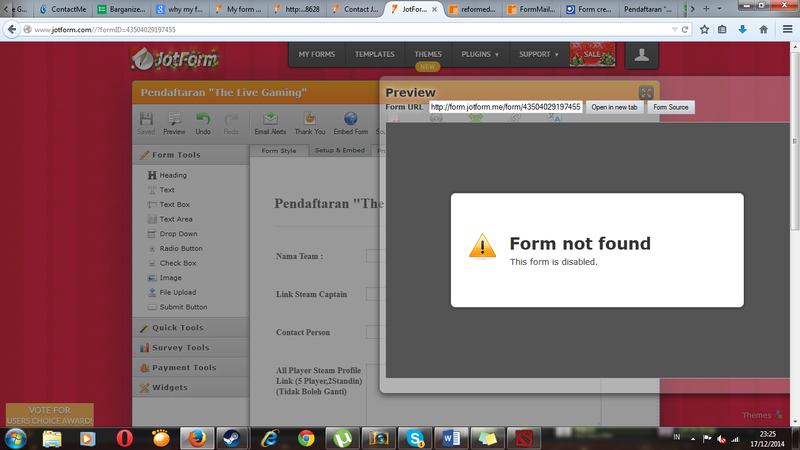 You're wondering why your form was disabled which you noticed when you previewed it. I checked this and found it was because your account got suspended by our system due to the fact that you are using a rather suspicious jotform which appears to be phishing for gamer accounts. This is not allowed and has violated our terms of usage. If you are willing to remove the form to comply then we will gladly reactivate your account.